With most Playtech tables usually quite busy during peak times, Live Unlimited Blackjack often comes to the rescue considering that it can accommodate an endless number of players at any moment in time. And with experienced dealers from a studio in Riga expertly conducting play and always ready to chat with gamers, the innovative variant has quickly become very popular in live casinos. Housing basic Las Vegas Strip rules, albeit with several interesting exceptions, and supporting Perfect Pairs side bet, Live Unlimited Blackjack provides online gamers with a fair share of wagering opportunities, as well as a high-quality setting via the feature-rich live dealer tables. 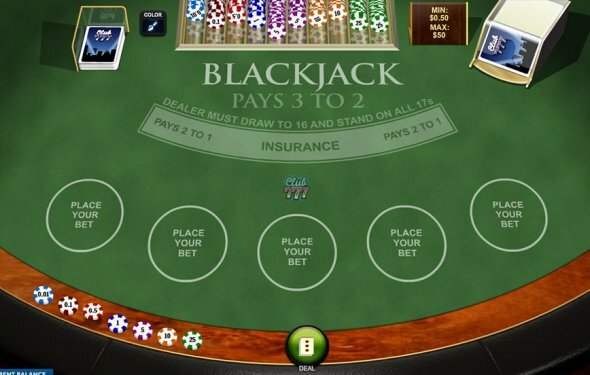 The game allows five betting positions player, meaning you can play five hands at once. Cards are dealt from an eight-deck shoe and dealer is required to stand on all 17s. In order to place your bet, select your preferred chip size and click on the betting position to place your wager. Click on PP located above the standard position to place a Perfect Pairs side bet. If Aces are split, the player only receives one card, while a payout on a ten-value card and Ace in a split hand is 1 to 1 rather than 3 to 2. Current table limits are displayed in the upper left corner of the table payout, whilst game option panel is available at the bottom right corner. The main advantage of Live Unlimited Blackjack is its ability to accept new players at the tables at all times, while letting them play up to five hands at once and bet on the Perfect Pairs side bets as well. The fact cards are split by default in accordance with the optimal strategy rules adds an interesting twist to the game play, whilst premium Playtech tables and knowledgeable dealers only add to the excitement.